A high solids, high viscosity aerosol lubricant designed for lubricating moving parts, eliminating s..
Penetrates deeply into fasteners and fixtures, displaces moisture and attacks existing corrosion. Lu.. Fits standard quart plastic bottles. 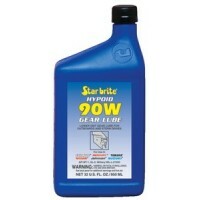 For adding oil and other fluid to lower units. 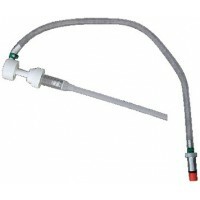 Flexible hose ge..
Small, versatile grease gun allows for front or top pipe placement. Barrel takes 3 oz. 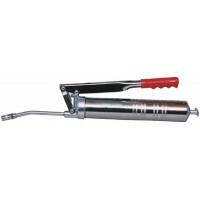 grease cartri..
For use on hand operated grease guns only. Steel 1/8" NPT male fittings on each end. Recommended wor.. Fits standard quart bottles. Ideal for adding fluids to small engines. 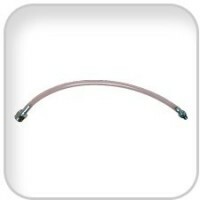 Flexible hose gets hard-to-re.. Specifically designed for high performance marine engines to protect against extreme operating condi..
Variable/short stroke for easy use in confined areas. Rugged fully zinc-plated finish. Dual port hea.. 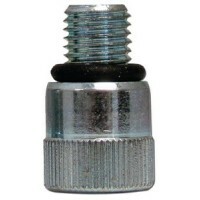 Ideal for outboard motor and stern drive grease fittings. Simply screws onto thread of grease tube. .. Ideal for household and do-it-yourself automotive use. Uses 14 and 14-1/2 oz. cartridges. Develops u.. Designed to fit on 35# (5 gallon) open head pails. Delivers 3 oz. per stroke directly from pail to l..
UltraLube has a higher viscosity than petroleum-based product to more effectively reduce friction, h.. Convenient, easy one-hand operation. 2-way loading, cartridge or bulk load. Equipped with 3 1/2" gre.. Operated by squeezing the grease tube with one hand and compressing the trigger with the other. 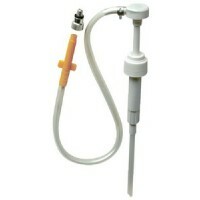 Incl..
Professional tool for industrial applications. Full pressure on variable/short strokes to control gr.. Fits 15-55 gallon drums with 2" bung opening. Has steel piston with brass piston ring. Discharge spo.. Delivers twice the volume of grease per stroke compared to conventional guns. Plunger lock prevents .. 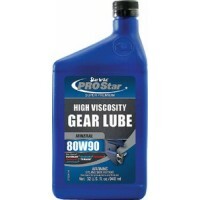 Provides clean quality lubrication and protection in any condition. Excellent water wash-out charact.. Powerful penetrating oil that frees stubborn rusted or immobilized parts. Leaves a protective film a..
Reduces operating friction for increased performance and protection of gears, bearings, and other ge.. Recommended for all general marine applications requiring a GL-5 class lubricant. Ideal for replacin.. Specially formulated for use in high-performance outboard and stern drive applications. It exceeds s.. 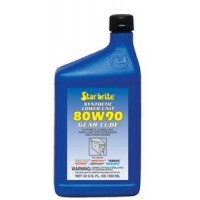 Formulated for older model outboard and I/O's equipped with electric shift. Reduces friction and pro.. Heavy duty all steel construction for dependable, long service life. 9783 is display packaged. Size:..
Multi-purpose spray lubricant for marine applications. 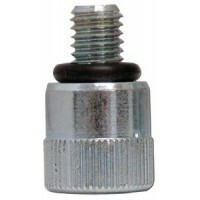 Ideal for lubricating shift components and mi..
For API MT-1 GL-5, MIL-L-2105D service. Formulated with special anti-wear additives, rust and corros..
For API GL-5 service. For all outboards and stern drives with mechanical shift mechanisms. Formulate..
For use with all 14 and 14-1/2 oz. grease cartridges. 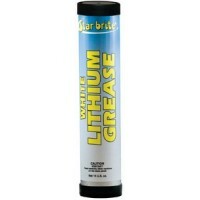 Corrosion resistant bright metal finish. Engin..
General purpose lubricant. Ideal for marine, auto and shop lubrication. 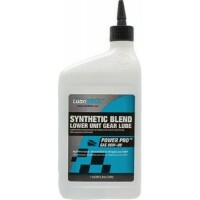 Helps prevent corrosion; pro..
For API GL-5, MT-1 service. Superior thermal stability. Protection over a wide temperature range. Me..